What starts as loving, compassionate care becomes an isolating, stressful, never-ending race to get everything done. Inevitably, anger and resentment creep in toward the person being cared for and other family members who don't pitch in or to both. Guilt and shame for not feeling loving all the time get added to the mix. Worst of all, most caregivers have no support system and no plan for taking good care of themselves first so they can keep going without falling apart. Is there hope for a better life? 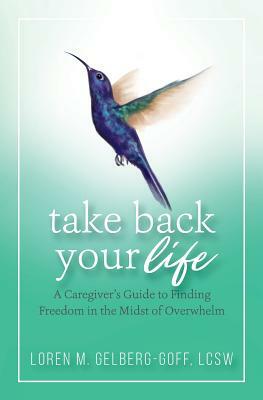 Yes In Take Back Your Life: A Caregiver's Guide to Finding Freedom in the Midst of Overwhelm, psychotherapist, hypnotherapist and experienced family caregiver Loren Gelberg-Goff shows you exactly how to have a life, feel that loving connection you thought was gone, stop arguing and get cooperation from your siblings and others to find other resources to guarantee that much-needed you time.